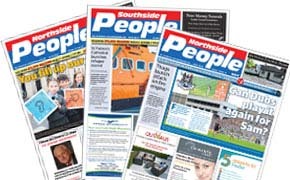 Digital versions of our three newspapers: Northside People (East), Northside People (West) and Southside People are available to read in-full online for free. Our digital version software is user-friendly across all platforms and browsers. When reading the digital version you will be able to zoom in & out on all pages, search words / phrases in the paper, download PDFs of individual pages and also download the complete newspaper in PDF format if you wish.